The co-operative societies must have policies and procedures on when to require collateral, when to assume custody of collateral versus allowing borrower to maintain custody, where to deposit and store collateral, and how to value collateral. The co-operative societies should have clear guidelines to their staffs on how to verify the authenticity of the particular collateral e.g. land title verification, vehicles logbooks, etc. If the borrower maintains collateral, the co-operative societies should periodically inspect the collateral for impairment. The loan agreement should include a detailed description of the collateral and serial number or other identifying number of the property, and require that collateral must not be sold without prior notice to the society. 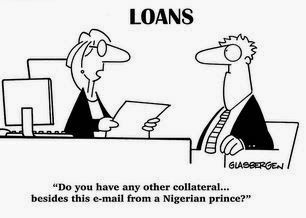 Procedures must be clearly stated for returning collateral to the borrower upon full repayment of the loan. The Saccos should maintain a proper register for all members’ collateral so that whenever it is being moved or transferred to any other party, it is properly signed for. Procedures should be recommended to improve the chances that liquidation of collateral is done at the best available price, and that proceeds from liquidation are deposited intact into the bank.